Here is my fourteenth entry for Tina’s BFF picture parade. This is one for all those Agatha Christie, Conan Doyle and Colin Dexter fans out there – can you solve it?! It started long before the Kindle/Nook/eReader….. Here is my thirteenth entry for Tina’s BFF picture parade. Disguising what you’re reading from casual observers is not a new thing…it was happening with print books long before Kindle / Nook / eReaders made it far easier! There’s more information on BFF under my heading Fun Things which has a link to Martina’s blogpost and the meme picture in my RH sidebar also links to Tina’s post. 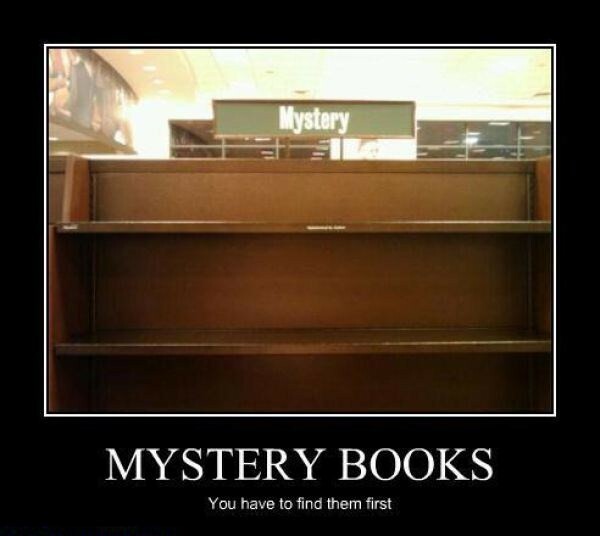 Join in the fun and share some book related humour and get the weekend started with a smile!